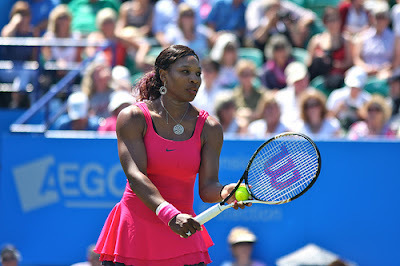 Professional Tennis Trader (Free Tips): Where's Serena in the Fed Cup? Where's Serena in the Fed Cup? Virtually every week there’s a WTA tournament taking place somewhere around the world. It doesn’t take a degree to work out the draw of whichever championship it may be and we just sit back and watch our favourite female players battling it out. Where it gets complicated is when team tournaments take place, because understanding the Fed Cup and why it doesn’t have the impact it should is all a bit baffling. The series certainly isn't as star-studded as it should be. Imagine the betting opportunities if, over a week or two, the Fed Cup was held with many of the top female players in the world taking part. It’d be a fantastic tournament, not only highlighting the best of women’s tennis but also embodying that team element that is rarely seen in the sport. The official Fed Cup describes itself as ‘the World Cup of tennis.’ At present, though, the Federation Cup is a right old mess. It takes place throughout the year, and we have to work out whether our country is in the World Group I, World Group II or Europe/Africa Group III. It is rather humorous that a long-winded tournament like this actually had its name shortened from the Federation Cup; shortening the actual tournament would be a much more logical idea. There has been talk of changing the format of the Fed Cup, but little seems to be happening at present. It says a lot that the USA have won the cup a record 17 times. With players such as the Williams sisters, that’s no surprise, is it? Well, actually it is – because the USA haven’t won the Fed Cup since 2000; it last made the final in 2010 and the Williams sisters were nowhere to be seen. Indeed, the current rankings have the USA down in seventh – with the Czech Republic in first – so what on earth is going on here? This year’s tournament began in February, the World Group semi-finals are in April and then there’s a seven-month wait until the final. If you fancy a flutter, tennis betting has Serena Williams at 2/1 to win the French Open, but she won't be tasting any Fed Cup glory this year. In April, the Czech Republic take on the USA, but it’s the likes of Alison Riske, Coco Vandeweghe, Bethanie Mattek-Sands and Shelby Rogers who got the Americans through to the last four by beating Germany. Oh, and there was no sign of Angelique Kerber in the German side. The USA will be playing the tie on clay in a bid to upset the Czechs, and the match that could have seen Serena Williams v Karolina Pliskova but won't will be played in front of just 4,000 people. With all the playoff rounds, it’s no wonder that this tournament fails to get fans excited. Instead, why can’t organisers just seed the top teams and let the others then go through a qualifying section? That way, we'd get a one or two-week tournament that would fit into the schedule and the top players would be able to compete in a bonafide World Cup of tennis. After all, what do you want in a USA v Germany match? Riske v Petkovic or the top two players in the world, Serena Williams and Angelique Kerber, facing off? It’s a no-brainer, isn’t it? Both Serena and Venus have had success representing the USA in the Summer Olympics. That shows a willingness to compete for their country, so before they retire, it's time to revamp the Fed Cup and give us a tournament that, alongside the Davis Cup, can make tennis proud.